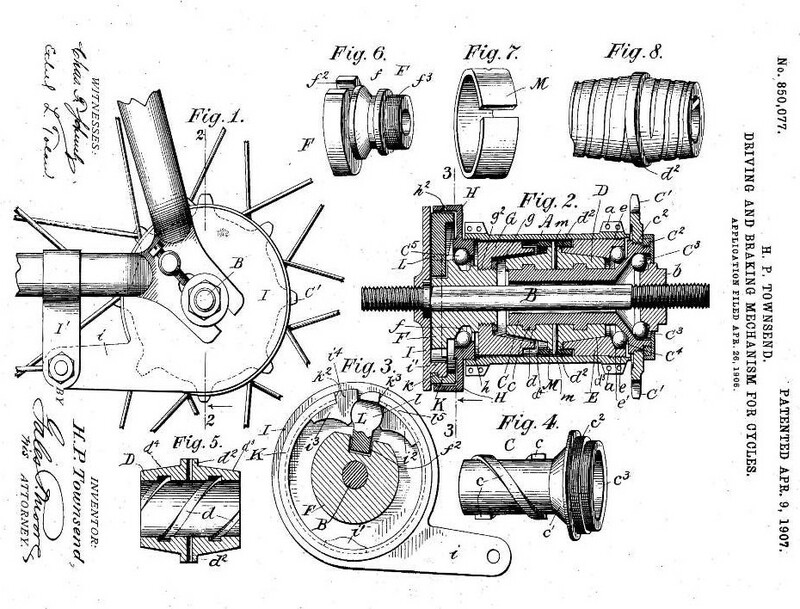 On April 9, 1907, Harry Pond Townsend patented the driving and braking mechanism for cycles. The coaster brake, as it was known, was not a radically new invention, but it was the first device to combine the functions of driving, braking, and coasting. It replaced the front tire hand brake and allowed riders to coast without pedaling and to stop rapidly by simply pushing backwards on the pedals. The advent of the chain-driven “safety” bicycle in the 1890s revolutionized personal transportation, and the coaster brake marked the next evolution in bicycle design. Townsend filed the application in October of 1898 and assigned it to the New Departure Manufacturing Company of Bristol. New Departure had built their reputation manufacturing bells, everything from doorbells to bicycle bells. (In fact, the renown of the company’s wares provided Bristol with its Bell City nickname.) Because New Departure lacked the equipment to produce Townsend’s design, it contracted with New Britain’s Corbin-Screw Corporation in December of 1898 to produce the first 5,000 brakes. By 1899 Corbin-Screw had started to make brakes of its own design and New Departure moved production to their own facilities. 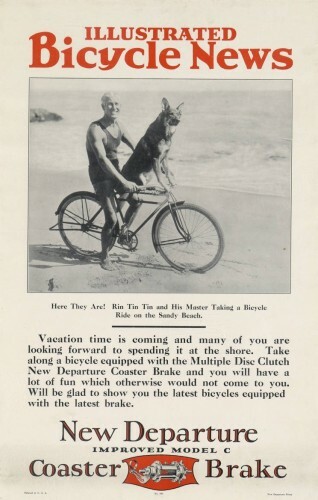 Within a decade, the coaster brake became standard equipment on American-made bicycles and New Departure had also begun to make coaster brakes for belt- and chain-driven motorcycles. Townsend, Harry Pond. Patent Number 850,077 - Driving and Braking Mechanism for Cycles. 850,077. New Britain, issued April 9, 1907. Link.